The Beginning of Time and everything there is. In order for those who have eyes to see and ears to hear and are meant to Understand to benefit fully from this information, it must come from an Eschatological approach; which means going back to the beginning in order to Comprehend the end result of anything. 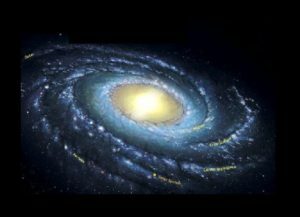 Thus, the first thing I’m going to do is to ask you to study the Big Bang picture and the first verse of St. John’s Gospel and see what you see in it before you continue reading the article. In High Spirituality, be it Gnostic Christendom, Orthodox Christianity, Moslem religion or Judaism, the ancient Principles, Words and Doctrine taught by God should never be altered or changed. In the past, those who practiced any of these religions had the utmost reverence for these Sacred Teachings, which led them closer to God, without question. And indeed no one will ever dare to think of changing or altering that which is Sacred. It seems that with the best intention they have committed a terrible mistake as the words changed are Key Words for us to have a true Understanding of the Force that created us, sustain us and in which we live and have our being! A vital requisite for us to recuperate Our Original Divine Nature! What has been left has nothing to do with what Jesus said. On the contrary, it is a pathetic phrase devoid of Power and reduced to a limited, materialized misunderstanding of Things That Are Transcendental. This is why what appears to be just a well-intentioned mistake becomes more than that if you penetrate it, ends up being an action demoniacally inspired. Not surprisingly, this mistaken interpretation of Jesus’ words was readily accepted by the Apostate Post-Vatican II NO Church of John XXIII. Read attentively what the original words of Jesus were, which I will call A) and also the changed version, which I will call Z) and judge for yourselves. A sentence that speaks of the Power that moves and sustains the life of Universes, and not only elevates the soul, but invites a human being to use its God-given Intelligence to penetrate its essential meaning, and thereafter search to find its reality. It has been said, the change was done to express what Jesus is saying ‘understandable’ to people, who can’t understand what He is saying; not realizing that in doing so they are under estimating other people’s intelligence and spirit, and making those others who have ears, but cannot hear, deafer than they were before! If what they said is true, it behooves these well-intentioned Newtonian brains, who Einstein rightfully called ‘snuffed out candles’ to be more humble and realize that ‘The blind cannot lead the blind’. They must realize that because they, themselves have lost the capacity to see with ‘an inner vision’, they themselves do not Understand the Words of God; thus, the action taken is not only not helpful at all to the people, but extremely harmful. They are not only misleading people but disrespecting their spirit and intellect and violating indeed a High Principle to have reverence and respect for Holy teachings, especially when they come from the Christ, Jesus Himself. We humans must have more humility in front of God. To dare to change the words of Jesus and give them a different meaning, leaving them as if they were coming from an ignorant man, who speaks about God – as those who are blind – conceive Him to be – as if He were a ‘particularized person’ with a mouth, eyes, ears and all of that, speaking out words, it’s unbelievable! This practice is disrespectful, irreverent and ignorant, even if as it is claimed was a well-intentioned move. All and all, it may not be such an innocent intention behind it, because the words of Paul de Tarsus about Love have also been changed to give them a different meaning. The change made in the beautifully said words of Paul has also been changed to be reduced to something convenient to preachers. Now, instead of speaking about Love, not as we understand it, but as the Power that moves the Universe Paul is talking about, to ‘Charity’. Outrageous! Who and in what manner profits from the change? I’ll let you answer that question for yourselves. The fact that anyone dares to take this action of changing High Spiritual Teachings meant to help people to come closer to God, for something convenient or profitable to man, is disgraceful; but that it has been permitted to become ‘an accepted version’ being read in the pulpit, even by the Traditional Churches, it’s catastrophic. I am not exaggerating, the changes are more harmful than they superficially seem; because, as I said before, the ex–Catholic, NO Church of John XXIII is now an Apostate Church, this is why they quickly adopted these changes. One should Understand that what now figures to be the Roman Catholic Organization as it is now has deserted God to serve Lucifer, so it behooves them to make Jesus sound silly. Thus, be aware that not everything you read in a book or hear from the pulpit is what originally was said. The respect and reverence meant to be the only approach to not only the words of Jesus, but to every other Holy book, unfortunately has been lost. So, do yourself a favor, go back and search for the truth in ancient texts if you don’t want to be misled by well intentioned ‘snuffed candles’ or by those who profit by the unfortunate changes made and end up ignoring what Jesus wanted you to Know, which may be the reason why you go to Church. The true meaning of ‘The Word’ was known by Gnostic Christians and expressed by Saint John in a Masterful manner at the beginning of his Gospel, in which he speaks as a Gnostic of the Transcendental Nature of Jesus. That’s what he is writing about when he says: ‘In Principle at the beginning was ‘The Word’, speaking of Jesus’ Divine Identity. That’s what he is doing when he calls Jesus ‘The Word’. He is taking us into the High Spiritual dimension where it all started and letting us know that Jesus is not only a Man, but He is the Christ, the Power of Life. Thus, ‘The Word’ according to Gnostics and Saint John, is the ‘First Movement of God’, without which nothing that was created is or could be; for It is the underlying Principle of all that is. It is that Force which sustains life, moves everything there is, It moves the Atom and also moves you. In short, to say that ‘The Word’ is a book, as it is implied when someone changes this word for ‘every word that comes out of the mouth of God!’ is so ridiculous, as to say that the Ocean is a glass of water! Look at this picture. Can this Force be reduced to a book? Or spoken about as if it were one? Yet, there are many, not only the ‘snuffed candles’ who have been misled to accept that this Force, who created all there is, is a book! So, they obediently call a book that they based their beliefs on, ‘the word’. Wake up to your own God-given intelligence please. This is no time when it is safe to follow blindly the path marked by others who do not know what they are doing. Or know well what they are doing but are under the evil influence of the Antichrist. People, we all are free to call any book ‘the word’ but Know that this is very misleading and indeed not what Jesus or St. John are talking about. Please make a note of this, so that you Know what Jesus and St. John are talking about with the dimension they wanted us to know; you don’t want to be mislead by erroneous conclusions of cemented brains. ‘The Word’ is nothing less than ‘The First Movement of the Divine Source of Life that created life’. The Egyptians accurately called this Force, ‘The All’, something that Modern Physics have found to be an accurate name for this Force, for It Is Everything there is. Moses, being an Egyptian Prince called the Supreme Intelligence AElohim. It is still like this in Genesis, as he wrote it, that is, in the original Hebrew Language. It may not be so in the altered version commonly known, AElohim in the original Hebrew language translates to ‘He, She, They Who Are’ in order to indicate the unlimited nature of God. The Supreme Divine Intelligence that the Arabs call ‘Allah’ and Jesus called ‘Father’ for He as ‘The Word’ and the Father are One. The Nature of AElohim Is Infinite, Unlimited, It was and It is not Something that can be spoken about in a limited manner, or Understood by limited minds; as Hermes taught by closing his eyes and putting his index finger on his lips when anyone asked Him about the nature of God. Yet, It was defined in the ‘First Principle of Hermetic Science’, which states: ‘THE All IS MIND. The Universe is Mental’. His Presence is the Substantial Reality which underlies all manifested things. In short, IT IS A UNIVERSAL, INFINITE, LIVING MIND in which we live, move and have our being. IT is not indeed a particularized God with personal characteristics as many have been taught to believe and understand. Therefore ‘The Word’ is the First manifested move of the Generator, Operator and Destroyer of all universes, of all there is, and indeed of all known to us. 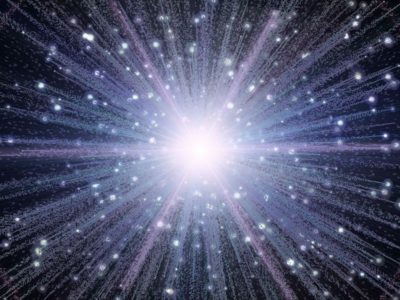 You may be asking yourself: What does ‘The Word’ of God or ‘the Big Bang’ have to do with Time, Healing and Rejuvenation? First of all, because ‘It’ is everything there is. Thus, if we do not Understand the beginning of all things, we do not understand who we are or our potentials, and if we do not Understand Who we Are, we do not Understand what we have the potential to Become, or do or anything else. ‘There is no sin. It is everything you do identified with what you are not, that causes what you call ‘sin’. This is why you get sick, age and die’. Please pay attention to Jesus’ answer, which is vital for us to Comprehend. If you don’t know what He means, find out. Search, learn who you Are in truth. You will be happy if you do so. I will say no more. Second, because according to High Spirituality, our limited sensory existence started when we fell away from our Source. This Truth has been corroborated by the discoveries of Modern Physics. They feel that after ‘the Big Bang’, an expansion from its Centrifugal Point into Infinity started, which is what we call TIME. Now, according to High Spirituality, the farther away we went from our Source into materiality, the more we forgot our original nature, as a result we gradually identified more and more with a limited, relative self that only relates to what its sensory perception accepts as real. This Truth has been corroborated by Quantum Science when they found out that even when our Universe started with Perfect Order, it entered gradually into Disorder as it expanded away from its Center of origin and continued undergoing the expansion that created what we call ‘Time’. As a matter of fact, human history is the strongest testimony of this Truth. Right now, we are in deep trouble. We are on the verge of exterminating ourselves, because there is not a single place where there is a collective awareness of our true Identity. What I mean, is we have deserted God and embraced the material ways of his adversary. That is in itself the root of the problem. We must now be alert to the fact, that Quantum Science has later found that what appeared to be ‘empty space’ was not empty but that in what we thought was empty space there is ‘Something’. ‘Something’ they can see is the cause of the disorder but do not comprehend yet what it is. They called this element cause of the disorder, ‘Dark Matter’. It appears to be that it occupies at least 70% of what appears to be empty space and is what separates particles causing a disorder, which appears to be irreversible. Could it be that ‘some entities’ on earth are indeed willingly part of that ‘Something that causes disorder’? If not, why are the scientists who work at that Swiss outfit called CERN, creating more ‘Dark Matter’ and spreading it in our atmosphere? They know better than anyone indeed, that releasing more ‘dark matter’ into our atmosphere will create more disorder on earth. That is, there will be more selfishness, more violence, more cruelty, more aggression, more anger, more wars, more destruction, anxiety, more of everything of the kind and evil will get stronger! Who would want to do that? I’ll let you answer that question. And please do not say: ‘Why does God allow this to happen to us? Because God allows His Law to work. A just Law, the Law of Cause and Effect. We are just getting the fruits of what we sow. Right now, no matter where you turn, one sees that true Christianity is in recess. The ways of God are not welcomed any longer. That’s why a Biologist who is Agnostic, has said that even when he hesitated to use the name of Jesus, he had to, because Jesus Knew what He was saying and doing. He made sure to say that he is not a religious person or a philosopher, that what he is speaking is strictly Biology. He is literally speaking of the ‘selfish gene’ which he identified in our DNA. Dawkins said: ‘If we do not practice and educate the upcoming generations to practice ‘altruism’ mankind, as an animal species, will cease to exist because it will exterminate itself.’ He also said also that he used the word altruism because the word Love has been so polluted he didn’t want to use it. But, if we are honest, we have to recognize that there is not a single place on earth where the two Commandments that Jesus gave us are practiced. No. True Christianity is now in recess. Unbelievable after all Jesus did for us! But true. It is indeed a very dangerous time for the souls of human beings. If humankind continues living as a materialistic animal, selfish and greedy under a system based on self-profit, we will exterminate ourselves. Especially if we look at things in the old Newtonian way of viewing things, where if someone drops a crystal cup on the floor and it breaks, the cup cannot be restored to its original state. But do not despair, because this is NOT SO. We can change ourselves. Then, after we become the change we want, the world will change. This is true according to High Spirituality and Modern Quantum Physics. For according to this view the glass can be restored to its original state with no problem or extraneous effort, if the process of the particles expansion away from the Original Source is reversed. We must reverse our descent and re-unite to our Source in a true and dynamic experience. Only then we will know God and what our Original Nature is. This is what Jesus revealed to His disciples and wanted us to Become. Thus, if we want to heal, rejuvenate and live, follow the signs that lead you to return to the Source, the most important thing for us is to find our true Identity. Thus, we must first know that we can change our limited nature and our Newtonian patterns of thinking to benefit from what is our original essential nature’s potentials. Unbelievable! Then, is the reversal of our nature possible? Jesus came to remind us of our original nature and to reveal to us the way to recuperate it. We can return to our Divine Source, if we follow His Teaching in truth and in deed. Thereafter, the closer we get to It, the closer we get to the ultimate transformation of our own basic and limited nature into what we are meant to Be. That is True Healing in all dimensions of our Understanding. It is Healing as Jesus Healed. It is indeed the basic Essential Knowledge we need to enter into Life and be truly alive. This is when instead of age-degenerating, our cells will at least intend to regenerate and stop the damage and the existing disorder. Remember, the disorder caused at the beginning is walking away from the Source of origin. It is the same now, the disorder is caused by our blind Newtonian way of not-seeing anything but matter as our reality. To change this pattern of seeing, being and believing may not be easy but it is possible, according to Jesus the Christ, High Spirituality, and Modern Quantum Science. The problem is that our minds are grounded in material ways, so in order to start to heal and rejuvenate successfully, we must change our way of viewing things. And that is a process. Not an immediate result as taking pills, having face-lifts, etc. We must first Understand things differently and that is not an easy thing. In healing we must always take a Holistic Approach. My teacher of Quantum Healing was a Surgeon before he became a Psychiatrist and Hypno-Analyst. He said that sometimes the symptom involved, demands urgently to be removed by surgery, then you must remove it in this manner – but even if you do so, one must afterwards find out what is the root cause of the problem. If one doesn’t do that, he said, in my experience as a Surgeon, the patient returned 2 or 3 years later with a more serious problem. This is the reason why, if the problem doesn’t demand surgery, I don’t recommend it. Surgery is not always needed, but I always recommend them to be wise in whatever choice they take and to always respect the diagnosis of their doctor. But not to neglect the Subconscious mental healing; for it is most important to work with your mind in a deep and profound way to remove the cause of the problem, not only the outer symptom. So, as he did, I also do, I recommend to my clients always to have a holistic approach to their problem. So, if what you want is to free yourself of a symptom and to restore whatever self-destruction is on your pathway you must not only remove the symptom with taking pharmaceuticals or surgery, but it is extremely important to work with your subconscious mind in order to Know the Source of it all. For it is the most important thing to learn how to find the root-cause and remove it from your subconscious mind. Then, learn how to change your mental approach from Newtonian to Quantum and raise your own frequencies to be able to get back to the Source in truth and in deed. Otherwise it all stays in a theory, a well understood Spiritual concept and/or a clear understanding of a great discovery of Modern Theoretical Physics; yet the sad truth is that you stay in the same place you were, only that now you think you know and are not searching anymore, for you are saying: I know, I know that, I know but. . . As the song of The Eagles says: ‘Locked up in Hotel California, such a lovely place, such a lovely place (the mental hologram where we are imprisoned) where you can check out but can NEVER LEAVE’. And you certainly don’t want to end up like that. So, what is Truth according to the view of Quantum-Spirituality? Understand? This is the Truth. There is no spoon there, there is no ‘broken glass cup’ there is no physical reality, no body, no ill symptom and there is no TIME, therefore no aging, no illnesses, no death. It is all a Hologram where our consciousness is trapped. We humans are decoding this information, as a computer with the wrong program would, because our nature was altered so that we would be limited to a sensory perception; but There is NOTHING THERE, just Light vibration, vibrating at different rate! And a separation from The Source of Life, which is causing the disorders that we call ‘real’. That is what makes the glass appear to break, a human age and die, it’s simply not there. It’s a different dimension. That is the Truth the child in The Matrix speaks about when he says: ‘There is no spoon’. If you do not comprehend this Truth, I will tell you, as the child in The Matrix says to the searcher: DO NOT EVEN TRY. This is a picture of our Galaxy. The spiral legs represent how far we have traveled as we expanded from the center. We are probably now at the end of the spiral legs! Either to go back to the Source of Life where we came from? Or, wander further away from the Source into matter and deeper darkness? Whatever you choose, you know what to do. It’s all in your hands. [ Gnostic Christians – Those who Jesus revealed the experience of the Knowledge of God to. This entry was posted in Time, Healing and Rejuvenation on August 17, 2018 by Seventh Angel. I love this article. I have bookmarked it so I can come back and read it once in a while, as a reminder of vital details regarding the world and soul situation in these times. I find myself confused sometimes, unsure of what literary “source” to trust – in order to find out what Jesus truly said, an unadulterated version of His words. I trust that by divine grace, I have found a few sources to help guide me. This blog is now one such source, and I will share it. “We must reverse our descent and re-unite”…the images included in the article, particularly the spiral legs of the universe, were extremely helpful, adding a deeper dimension to my understanding. Thank you!! !